Type your own food items into this editable Barbie Party Food Labels template. 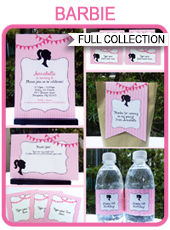 Each label has a pale pink stripe pattern, pink bunting and the iconic Barbie silhouette. Edit & print these Barbie Party Food Labels as often as you like. Just open them in Adobe Reader and type over my sample text. 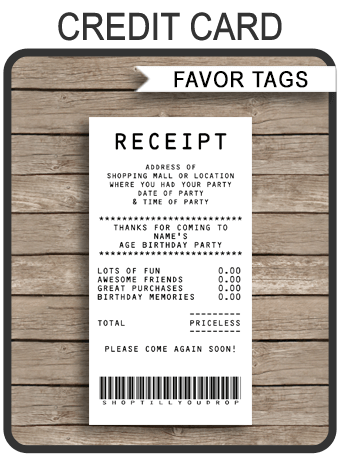 Download your Barbie Party Food Labels template immediately after your payment has been processed. Trim out your Barbie Party Food Labels on the provided cut lines, fold on the dashed lines and place in front of your food items.